How to Cut Cable with Roku is part of a multi-part series that the Streaming Advisor will be covering this year. 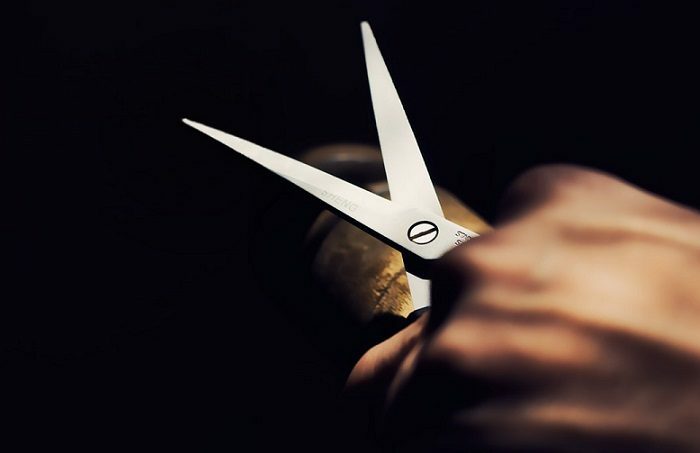 It is intended to let people know more about streaming products and services and help untangle some of the confusion associated with cord cutting and streaming that plagues the industry. 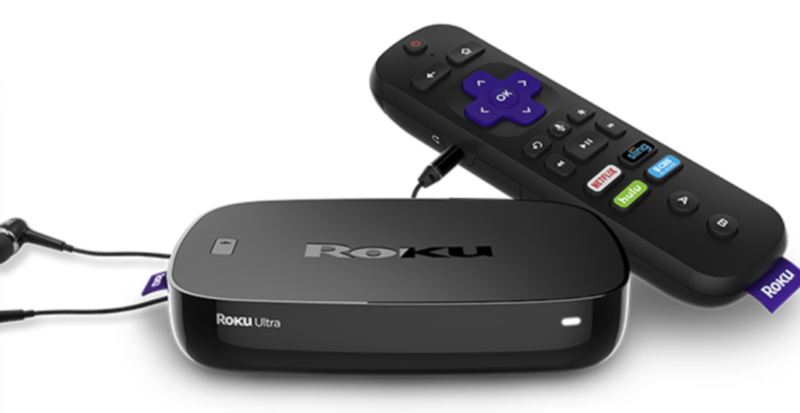 If you have been thinking of cutting cable or satellite services you have probably run across the word Roku a few times. 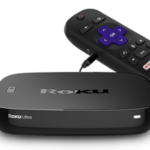 Roku makes small computers (streaming devices) designed to let users stream content from the Internet to their TV. The company was actually one of the very first on the market for that purpose years ahead of Amazon and Google. The platform is easy to use and gives cord cutters lots of options for their TV viewing. Roku also has partnerships with 11 TV manufacturers which integrate Roku’s on-screen platform and OS into the guts of the TV. These are called Roku Powered TVs. For those looking to cut the cord and upgrade their TV experience at the same time it is a win-win. Cutting cable can be as simple or as complicated as the needs of the individual or family looking to do so. Why do we say that? Because for some people, the content they watch on TV is very personal thing. For some a day is not complete until they see a certain news personality or check out their favorite team. We will try to set something up here that will help all perspective cord cutters better understand their options and how to use Roku to make it happen. Roku has tons of content categories but really all streaming apps break down into different sub categories. These are apps that are branded by the familiar icons you are used to when it comes to TV. Things like CBS All Access, NBC, Fox Now, ABC Go and CW. There are lots of options on the Roku that deliver a wide range of access from next to none to full lineups of shows. From totally free access to subscriptions required to access any content. Most of these can be found in a category called TV Everywhere. There is no real rhyme or reason to most of these apps. This is probably why they are so misunderstood. Users will see for instance “NBC”. They add the network and see that numerous episodes of different TV shows are available. But when they click Watch Live they have no way to do so because they do not have a provider/subscription service that will allow them to access live programming. 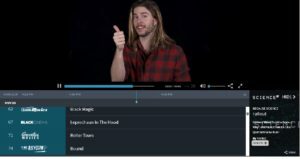 CBS All Access has no programming at all available for those who add the app unless they jump in with a subscription directly to CBS itself and pay about $6.00 per month. Once done users may get live streaming of their local CBS affiliate, but they may not depending on agreements between the app and their local affiliates. All users gain access to a large library of content including current and past CBS Shows. On the opposite end of the scale the CW app provides access to all of its current programming with access to the last 5 episodes of and current season. The good news is that outside of CBS the rest of the broadcast networks allow access to past episodes of shows at least a week after they air. This means that users can keep up with their favorite shows without paying to see them via cable. The Cable Network apps are also typically TV everywhere apps. They are less flexible than broadcast apps. This would be channels like SyFy, USA, Nick, ESPN etc. Most will not let users watch content for more than a couple of minutes without requiring a sign in. There are services that often partner with Cable TV apps and we will cover some of those later in the article. This is the big guns of the cable world. HBO, Showtime, Starz etc. One of the very best things about the impact of streaming is that users finally have the option to pay for channels that were exclusively distributed by cable providers. It is what some would call a-la-carte. HBO programming including its entire catalogue of original programming TV Shows and Movies can be accessed on HBO Now. The channel also features access to a large library of featured content from partner studios including rotating blockbusters. The only drawback is that the service does not provide a live feed. Though shows that are currently airing can be streamed on-demand within minutes of their live debut. So you will just be 5 minutes behind your less thrifty friends. Showtime is also available to streamers through the app “Showtime” This app does offer live TV. That should be music to the ears of cord cutters who want to keep up with GOT or Inside The NFL. Without signing up for any subscription services at all users can access a great deal of free current news streaming on Roku. There are numerous high quality 24-hour services available from some of the top brands in news including CBS who provides live coverage via CBSN and ABC News which offers live feeds as well as on-demand viewing of clips from news shows. Other news services include financial news from services like Bloomberg, sports from CBS Sports HQ, and live local/regional news via News NewsOn. Users can probably find a Roku Channel for their local station in the news category as well. Features will depend on what ever the station itself makes available. There are other services that require fees such as The Blaze and others but the fee is typically small compared to a cable package. These are some of the bigger streaming options out there. 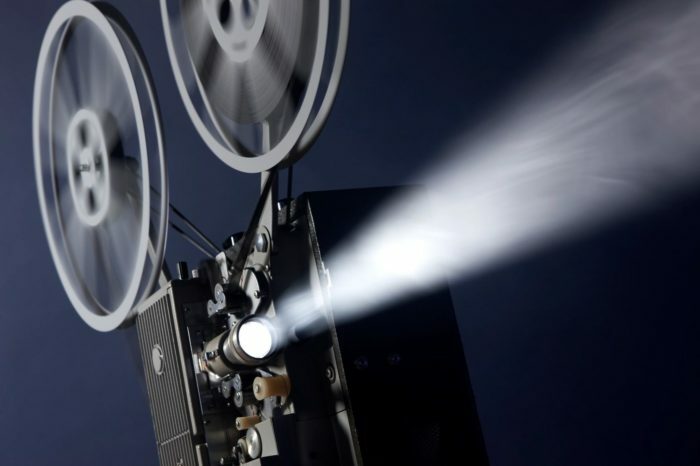 Companies like Netflix, Hulu, Amazon, Sony and other have spent billions with a B on building up services that feature thousands of movies and TV shows across most any genre you can think of. And what they do not own they create. Another aggregator to check out is tubi. These channels are home to vast libraries of popular television shows and movies from the last 40 years and in the case of Hulu, access to a ton of current TV content from a huge spectrum of the TV world from broadcast TV networks to cable channels. Most of these services cost $12.00 or less. A lot of streaming content is niche based. Sports, DYI, Science and more. The programming found across the many apps that fall into this world is impossible to quantify. But it is a lot of what is actually available for free outside of the more recognized brands. If you are a fan of nearly any topic you can probably find a streaming channel to fill that need. 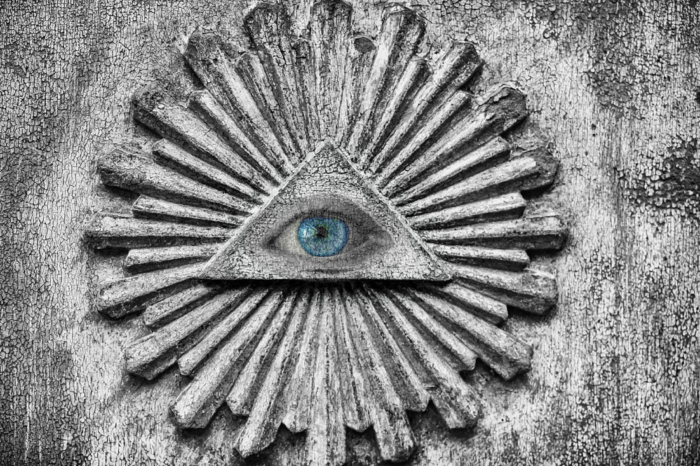 Want conspiratorial content check out UFO TV, want religious programming? TBN and numerous other well-known outlets have Roku channels. There are two big names in this category. PlutoTV and Xumo. Both companies provide a mix of exclusively web-based content along with content that may well even be carried by pay TV providers. In may cases a lot of the services like the news and sports channels or more are integrated into modern on-screen TV grids and broken down by category. Science, News, Sports etc. The differences between the two channels is the approach. 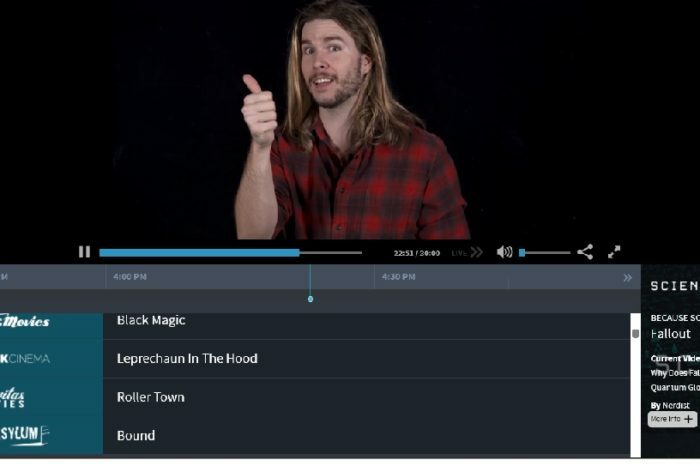 Pluto TV breaks down almost all of its programming into slots where you may find content from multiple studios in a channel marked “afternoon movies” While Xumo categorizes based on the source “Fail Army”, “AFV” etc. But the effect is the same. They provide users with a lean back experience similar to what they would experience when using a pay tv service. Many of these services call themselves cord-cutting services. And that description may be accurate to a point, if you only consider cutting the cord not paying the local cable company for large bundles of TV channels. But the way I see it, if cable is seen as a low wiggle room a few sizes fit all operation than the streaming services are not as much a way to stop paying for cable as much as they are much cheaper alternatives. Roku offers every cable replacement service available. They include Dish’s Sling TV (probably the most customizable option) DirecTV Now, YouTube TV PlayStation Vue, fuboTV, Hulu with Live TV and philo (a service that keeps costs down by excluding news and sports). The cost for the cable replacement services runs from philo which offers 44 channels for $16.00 per month to PS Vue, starting at $44.00 for the smallest channel lineup and increases all the way to $77.00. DirecTV Now follows a similar template to Vue starting with a package for $40.00 for 65 channels with options and cost going up as high as $75.00 for a 95 plus channel lineup. We have always liked SlingTV because it breaks things up into category groups with an opening group costing $25.00 for over 30 base channels and options to add things like sports, lifestyle or movie channels for around $5.00 per group. All of the cable replacement services have free trials and on top of that, they are contract free. So you can bounce around and see what really works for you if anything. Many of these services partner with TV everywhere apps, but not universally. Yup. There is a lot of content available over the air if you just hook up a good Antenna. What content you pull in at your home will depend on a lot of things from location, to distance from transmitters and obstructions. The cool thing is that if you are in the right spot you can still get all of the network content out there for free and even a lot more on top of that. There are now 50 plus OTA networks available depending on your location. They range from as stated major Networks like NBC or FOX to Ion (family friendly TV), Comet (Science Fiction) and so many other topics. OTA TV is in a stage much like cable was in the late 80s where libraries of content are being put together to take advantage of the new delivery systems. In this case digital TV. This space will only grow in quality as things progress. Roku powered TV users will have an option to access OTA TV via an antenna channel and through PlutoTV, which integrates the locals into its on screen guide on Roku Powered TV’s. Of course you can hook up an antenna to any TV provided it has a port for it. But we are only highlighting how Roku works with them. Before you try and cut cable cold turkey pick up a Roku and see what kinds of things you can find to watch within its system. You may find that you can enjoy a lot of TV you never even heard of or find old favorites you thought were long-gone. Try out the premium services, cable replacements, Niche, News and more and see if you can find a happy place without a big monthly TV bill.